L.L.L4L.L.L. 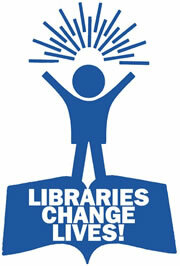 : Help needed to understand the digital curation state-of-the-art across "LibraryLand". Help needed to understand the digital curation state-of-the-art across "LibraryLand". I am hoping that by sharing this I may find some willing Teacher Librarians to help out by answering this survey from Joyce Valenza, Brenda Boyer & Della Curtis. Please help us better understand the digital curation state-of-the-art across "LibraryLand." We hope to share our research in various social networks as well as in an ALA Tech Source Report. You may respond anonymously or share contact information. If you do, you will be eligible to win an Amazon gift certificate. In addition, please consider sharing your contact information if you'd like to be interviewed for our research. This survey should take less than 15 minutes to complete. Thank you for considering helping us learn more about digital curation in libraries.